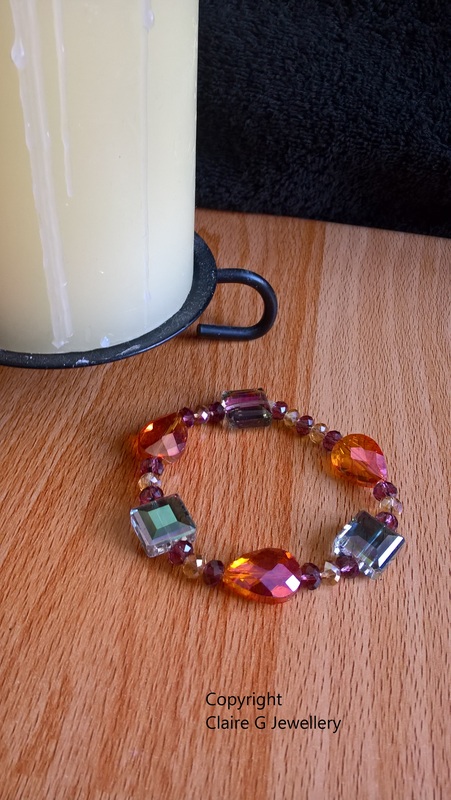 <\/u><\/b>This is a stretch bracelet with no clasps, so it's really easy to put on and take off. As it is stretchy, it can fit most adult sized wrists, but to avoid it being tight, it would be most suited to a MEDIUM\/LARGE sized wrist. 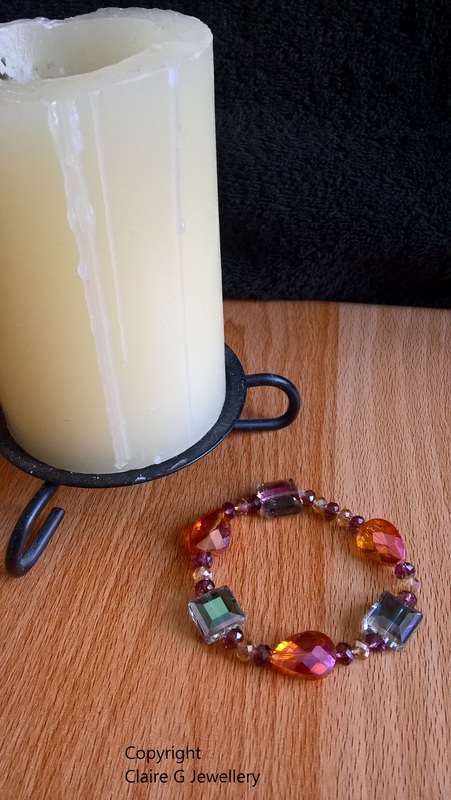 It is made up of 6 large faceted glass beads, 3 egg shaped in an apricot colour and the other 3 square shaped in an opaque semi see through grey colour which has a pinky orange tinge on one side when it catches the light. In-between the large beads there are small faceted beads in light brown and light apricot. Main colour\/s of bracelet<\/u>: Peach, brown, clear and opaque grey. Elastic thread<\/u>: \"Strong and stretchy\" clear elastic thread of 0.5 - 0.8mm thickness. Please note: <\/u><\/b>Sizes are approximate and for guideline purposes only. If you have a very small (child sized) wrist or very large wrist you may find the bracelets to be a little loose or a bit tight. If you are unsure please measure your wrist before purchase and if you have any doubts please contact me. 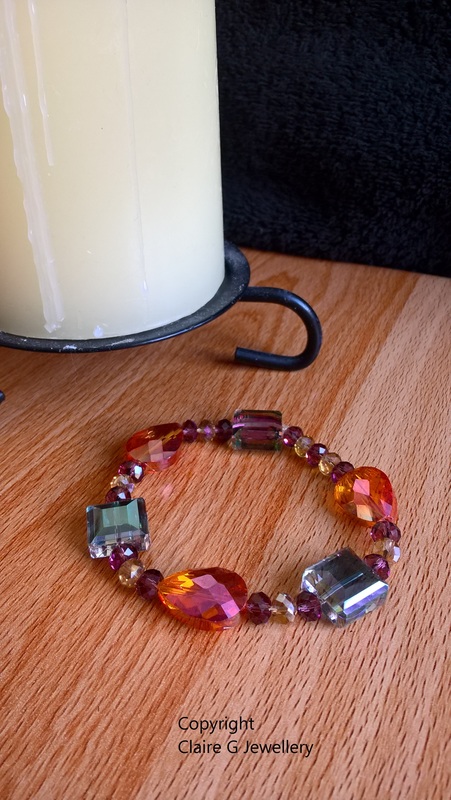 This is a stretch bracelet with no clasps, so it's really easy to put on and take off. As it is stretchy, it can fit most adult sized wrists, but to avoid it being tight, it would be most suited to a MEDIUM/LARGE sized wrist. 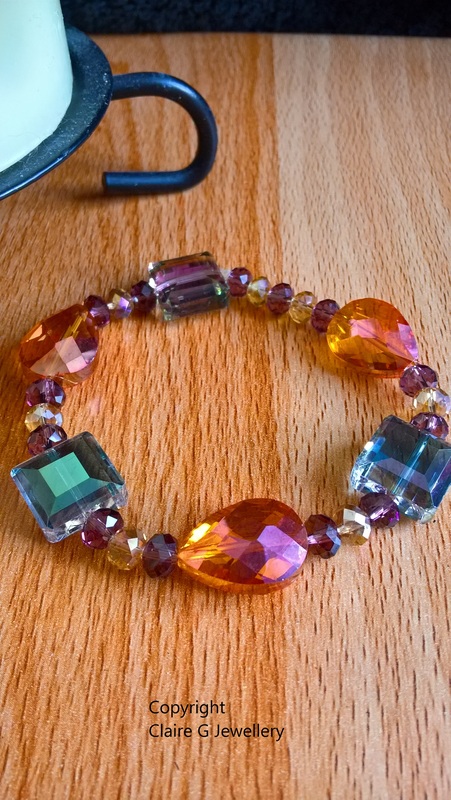 Main colour/s of bracelet: Peach, brown, clear and opaque grey. Elastic thread: "Strong and stretchy" clear elastic thread of 0.5 - 0.8mm thickness. Please note: Sizes are approximate and for guideline purposes only. 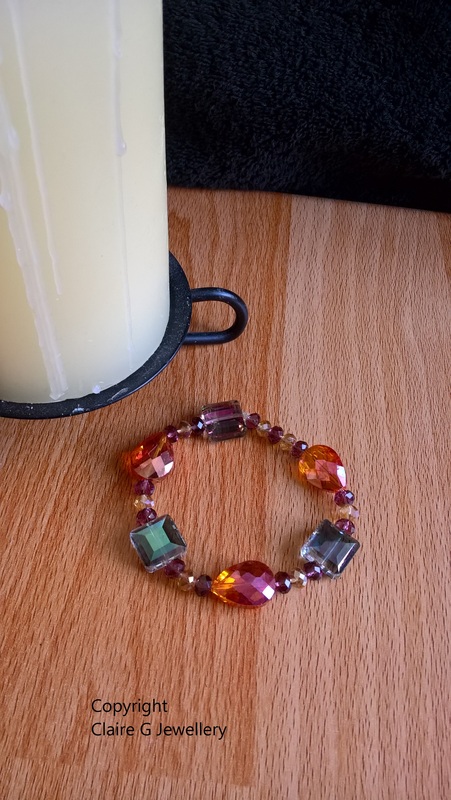 If you have a very small (child sized) wrist or very large wrist you may find the bracelets to be a little loose or a bit tight. If you are unsure please measure your wrist before purchase and if you have any doubts please contact me.